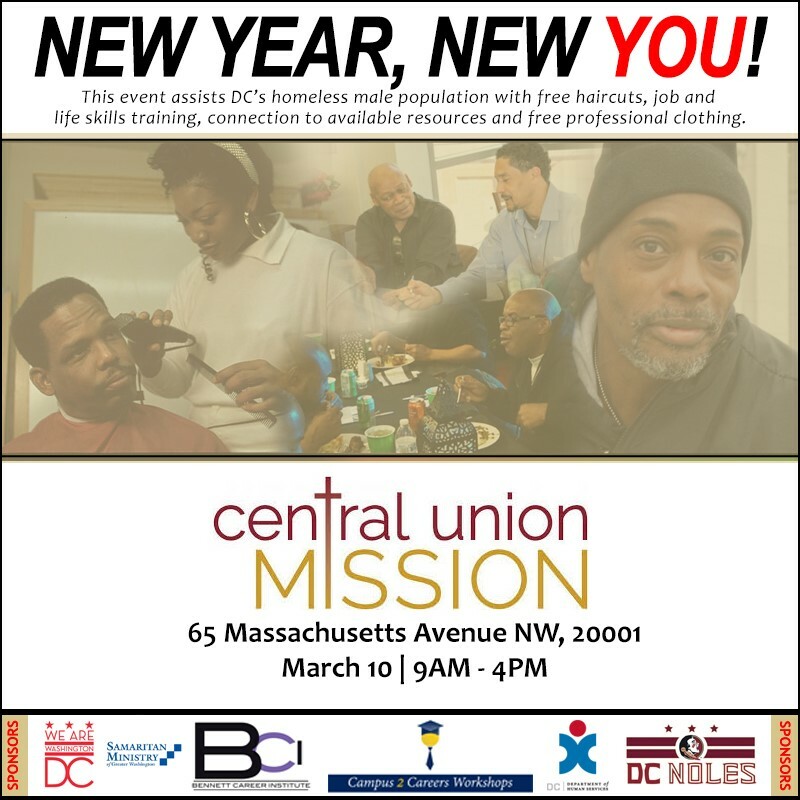 Washington DC—March 10, 2018—Dozens of volunteers will come together at Central Union Mission today to surprise hundreds of homeless men with free haircuts, job readiness training, professional clothing and connection to much needed resources from 9:00 am to 4:00 pm at the School Shelter (65 Massachusetts Ave., NW). Nearly 7,500 underserved homeless persons live in the District, and Central Union Mission serves hundreds of homeless men daily. Most of these men desire to reenter the workforce and begin a new journey; however minor obstacles like a haircut, soft skills and professional clothing serve as major hindrances. Joe Paul decided to do something about it by introducing “New Year, New You!,” a single-day event that directly addresses these specific issues. “I think we all can agree that it doesn’t matter who you are: when you step out of a salon or a barbershop, you feel like a million bucks. For these men, a haircut is just the beginning. The goal is to provide them with tools and resources that will help them get closer to independence. A new haircut means a new beginning for a lot of these gentlemen,” said event organizer Joe Paul. Central Union Mission is a faith-based 501(c)(3) nonprofit. In addition to its emergency shelter program, the Mission operates a rehabilitation program for men with life-controlling issues, a clothing and furniture distribution center, a retreat and recreation center with a camp for underprivileged children and a ministry to families and senior citizens. For additional information, contact Deborah Chambers, senior director of strategic partnerships and community engagement, at Cell: 202-534-9965, or visit www.missiondc.org.